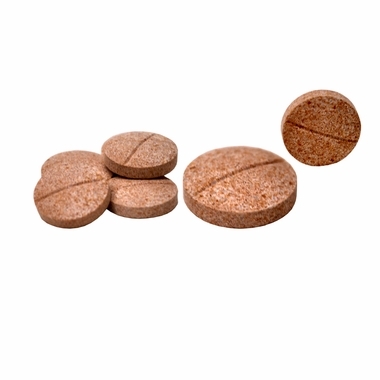 Arthrin Canine Aspirin provides safe and effective relief for pain, fever, inflammation specifically associated with injuries, surgery, arthritis and joint problems. 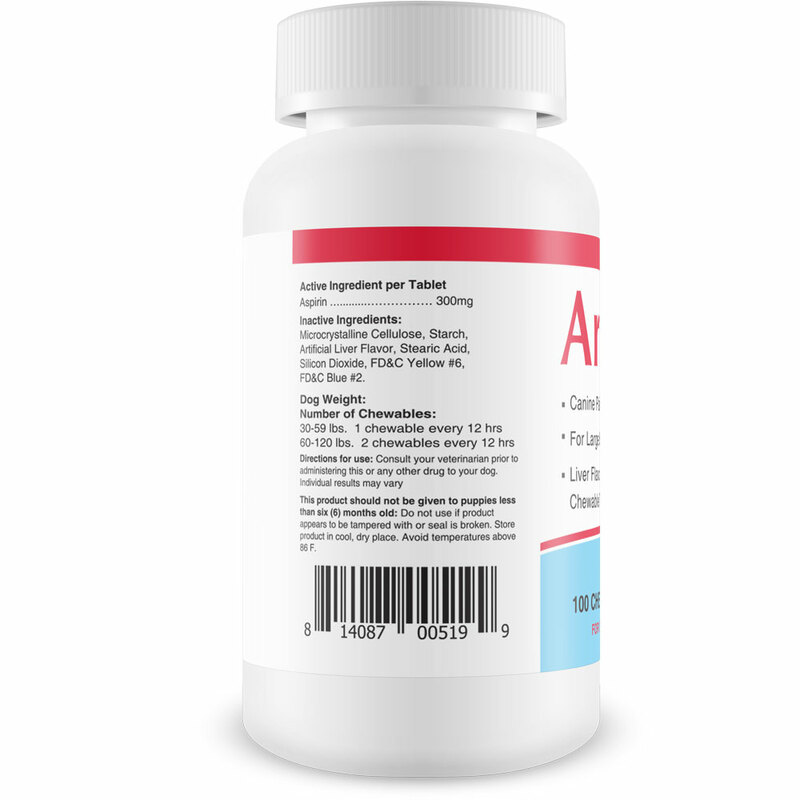 Arthrin is the active ingredient in Arthrin. 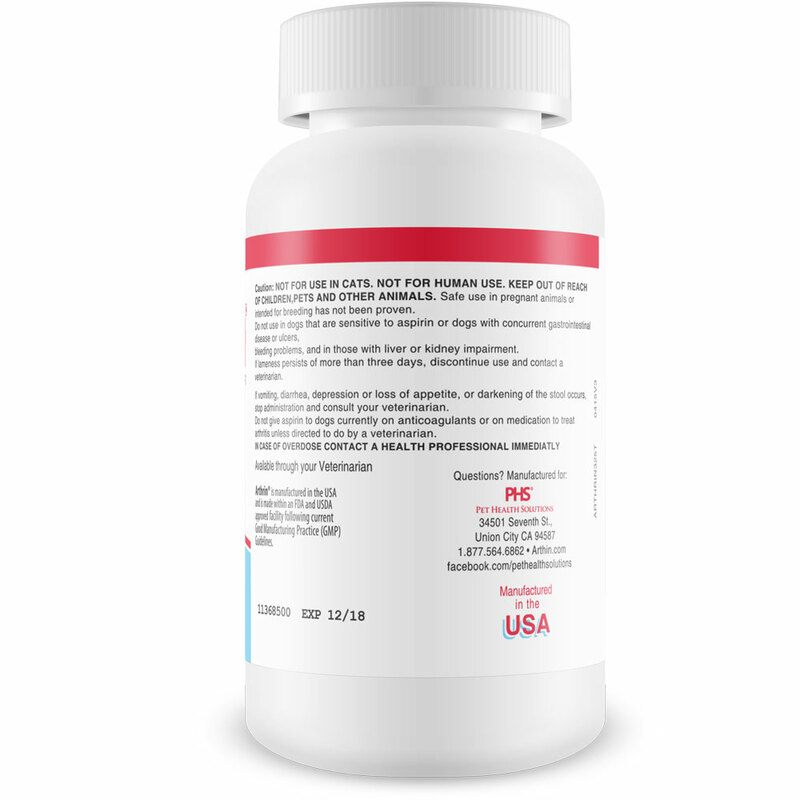 It is also to help prevent gastrointestinal upset. 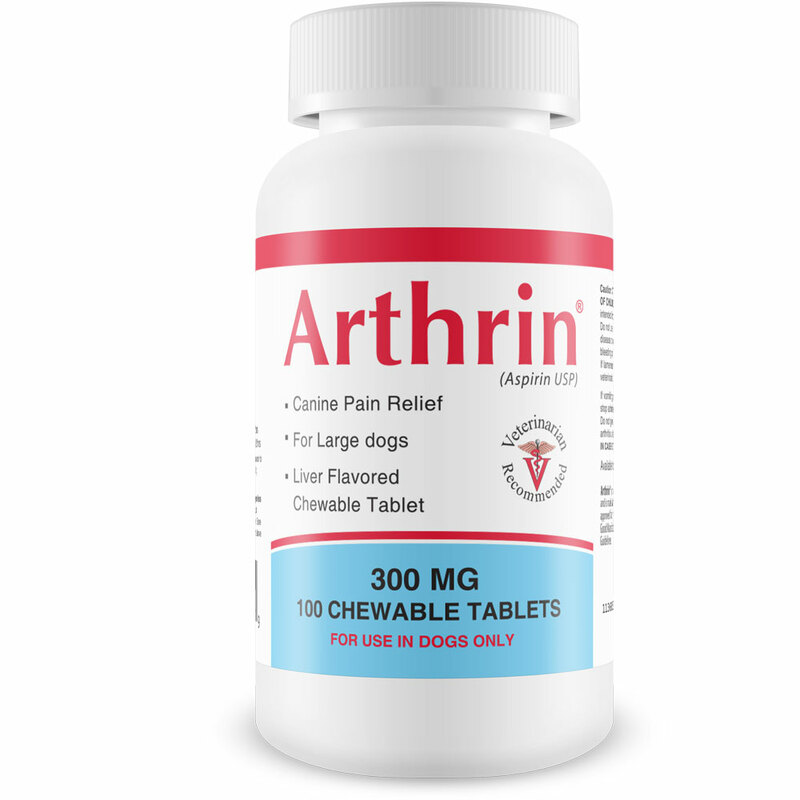 Use Arthrin along with Joint MAX and watch your dog improve faster, this powerful combination will have your dog playing and walking without pain and prevent further joint degeneration. Inactive Ingredients: Microcrystalline Cellulose, Starch, Artificial Liver Flavor, Stearic Acid, Silicon Dioxide, FD&C Yellow #6, FD&C Blue #2. This product should not be given to puppies less than six(6) months old. Do not use if product appears to be tampered with or seal is broken. Store product in cool, dry place. Avoid temperature above 86 F.
1 chewable every 12 hrs. CAUTION: Not For use in cats. Not for human use. Keep out of reach of children, pets and other animals. Safe use in pregnant animals or intended for breeding has not been proven. 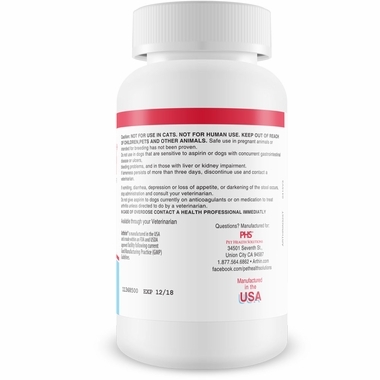 Do not use in dogs that are sensitive to aspirin or dogs with concurrent gastrointestinal disease or ulcers, bleeding problems, and in those with liver or kidner impairment. If lameness persists of more that three days, discontinue use and contact a veterinarian. If vomiting, diarrhea, depression or loss og appetite, or darkening of the stool occurs, stop administration and consult your veterinarian. 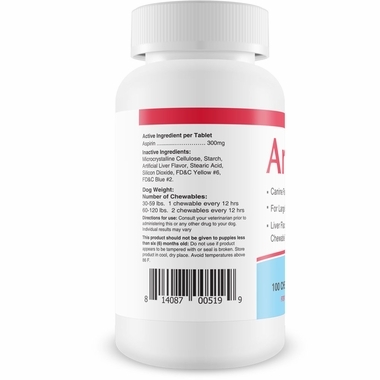 Do not give aspirin to dogs currently on anticoagulants or on medication to treat arthritis unless directed to do by a veterinarian.